We have 10 continuous monitoring stations that measure different types of substances around the clock and report results in near real time. 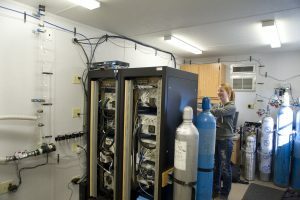 What each station measures depends on the individual station’s monitoring objectives. 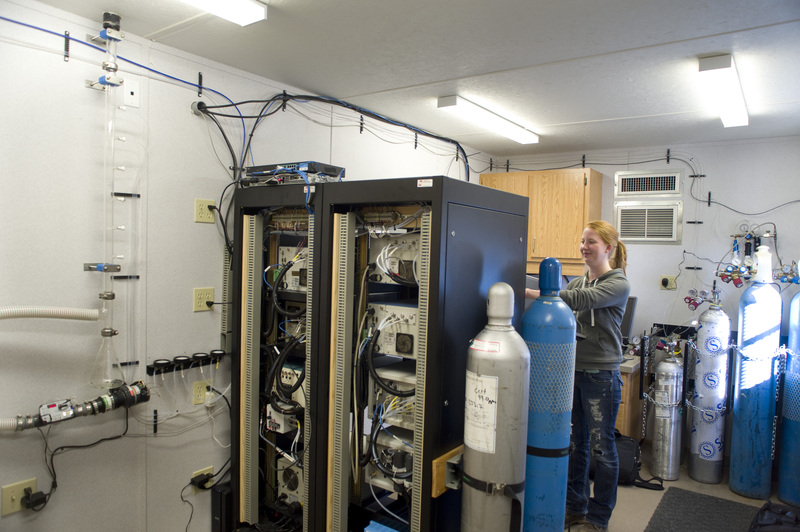 For example, data from seven of our stations located in Bruderheim, Fort Saskatchewan, Gibbons, Lamont County, Redwater, Elk Island National Park and a portable station are used to calculate the Air Quality Health Index. As a result, these stations measure substances required by the provincial and federal governments to calculate this rating. 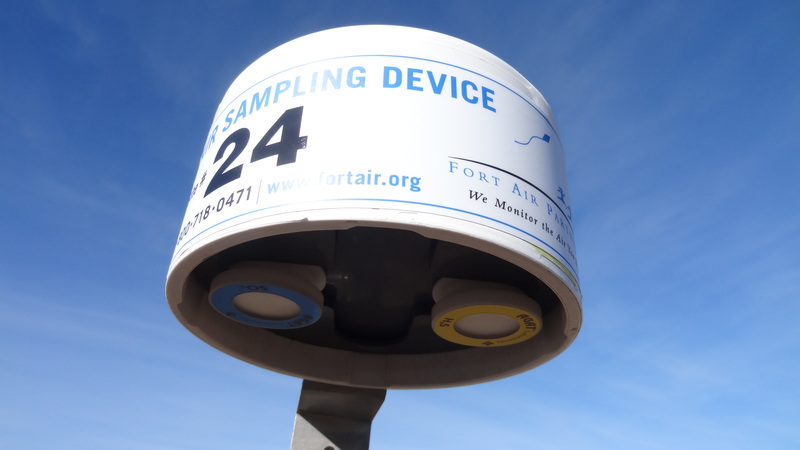 Other Fort Air Partnership continuous monitoring stations (Scotford Temporary, Ross Creek and Range Road 220) monitor specific substances because of industrial operating approval requirements. See Substances Monitored by Station for a complete list. Find out what our stations look like by taking an inside tour. We have 47 passive monitors scattered throughout the Airshed measuring concentrations of sulphur dioxide (SO2) and hydrogen sulphide (H2S). Samples are collected and sent to a laboratory for analysis each month to determine the dispersal of these substances over a broad area and to measure trends over time. Passive samplers are a simple, inexpensive way of tracking concentration levels. The monitors don’t require power because they absorb air rather than draw air in. 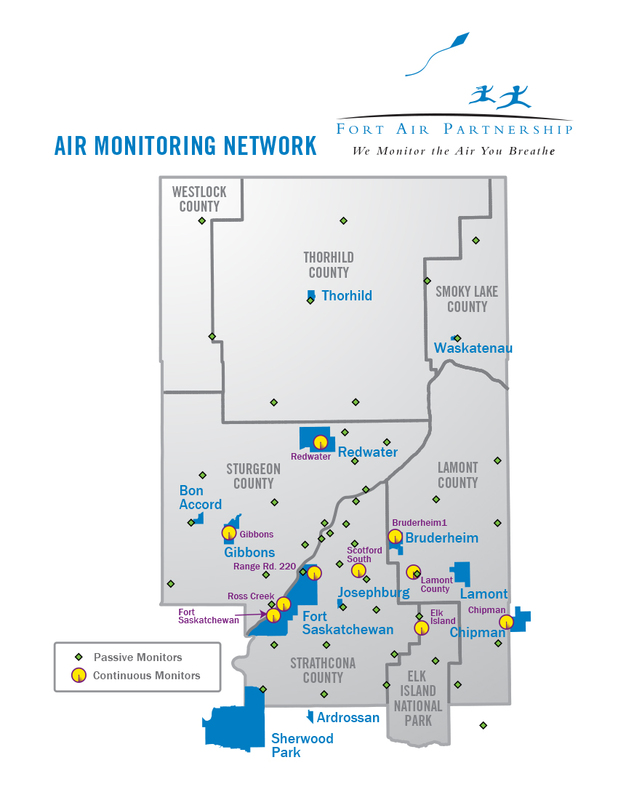 See our Network Map to see where all of the passive and continuous monitors are located.